With this instant coupon at McAfee.com. McAfee has just put all their 2015 versions consumer protection software on sale, including the new Total Protection. Just follow the above instant coupon link and save a whopping 50% off the list price instantly (that’s nearly $45.00 off!). Best of all, you’ll qualify for a free upgrade to the 2016 version once it’s released in mid-September. This offer is valid for all Software Voucher visitors (no codes are needed, just follow the above deal link to get the special pricing). This promotion ends on April 15, 2019. McAfee is sale priced at Amazon. Thanks to all the competition in the antivirus space, we’re able to find some very good deals once in a while as the different companies on the market try to out price each other. McAfee has given Amazon, their top volume reseller, special pricing this week on all McAfee 2015 versions to help them clear out inventory and make room for the 2016 editions coming in September. 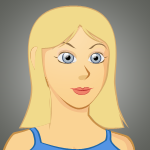 You can save up to or even over 70% instantly on either the single license or 3-users license versions. This cuts the price to below $25.00 from the list price of $79.99. On top of that you will also receive free ground shipping as long as your total order is above $35.00 (Prime members get free shipping at any amount). No promo code is required as the sale price will already reflect the discount. Special offers are often reserved to existing customers when it comes to computer security software, but it seems like McAfee is an exception to the rule. From all the deals that we’ve seen you will be better off buying one of the regular versions that are on sale vs. at the upgrade price which is only $30.00 off on average (if you are upgrading manually). For anyone that still has auto-renew checked in the settings, we recommend that you turn it off as all auto-renews are charged at the full price. If you’re in a jam and need to have a physical disk to install (i.e. your computer is already infected and you don’t want to use your laptop to make a purchase with your credit card), then keep in mind that you may be able to get the same good deals at your local store. That’s because many of the larger electronics stores like Staples, Best Buy and Office Depot have easy price match policies. Just show them that a competitor has a better price on an identical product (like Amazon) and they will price match it there on the spot. Some restrictions will apply so just talk to a store associate for full details. Those in active military duty get McAfee Free! Here at Software Voucher we do our best to track all sorts of deals, and we have to admit, this is one of our favorites (that’s assuming that you qualify for it). McAfee has recently announced a partnership with the military to offer all active service men and women with a copy of Internet Security 2015 for free. That’s right, it’s not a discount, it’s completely free. Best of all, it’s a two-year subscription to the full version with your choice of Mac or PC versions. We have a full post discussing the details of this offer so we encourage you to check it out for more details. Only available to active military service personal. Download it free at McAfee.com. 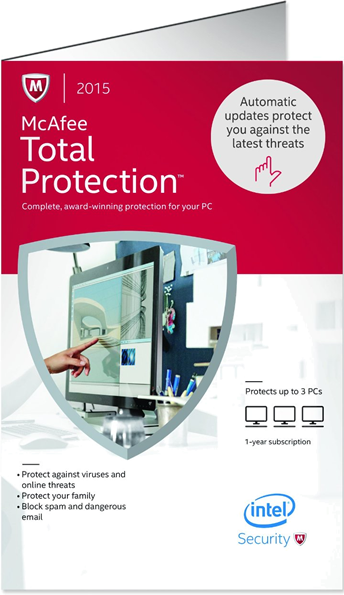 If you’re not sure if Total Protection 2016 is the way to go or just want to compare the differences between the lower versions like Internet Security or Antivirus, then head on over to the McAfee download center to try it out for free. Once there, just select the version that you wish to try. The only restriction is that you will need to be a new user and not have had any previous version installed on your PC. Once installed, you’ll have 30 days of virus protection and the ability to run an unlimited number of hard drive scans. No credit card is required but they will make you open a free account and provide your email address to be able to access the free download. McAfee 2016 Release Date Alerts! When will McAfee 2016 versions go on sale? McAfee is expected to release all of their 2016 versions between late August and early September 2016. We are closely monitoring the latest developments and will be updating the new promotions here on Software Voucher as soon as the new version is released.